America’s education system is systematically failing the poor - and teachers unions are defending the status quo. Waiting for Superman is a critically-acclaimed documentary that uncovers distressing flaws in the American public school system. The documentary, directed by Davis Guggenheim, grossed nearly $6.5 million worldwide and won an Audience Award at the Sundance Film Festival. Guggenheim explores the various ways public schools are failing these children and the roadblocks to improving America’s education system. Teachers unions, particularly their opposition to reforming teacher tenure policies and improving teaching standards, are highlighted as one of the main reasons why it’s been so challenging to improve school quality. The film opens with Geoffrey Canada, the founder of the Harlem Children’s Zone charter school, telling a story about his childhood. Canada says that the saddest day of his life was in 4th grade when his mother told him that Superman doesn’t exist. Canada explains that he didn’t cry because Superman wasn’t real, he cried because he realized that there was no one to save his family from poverty. 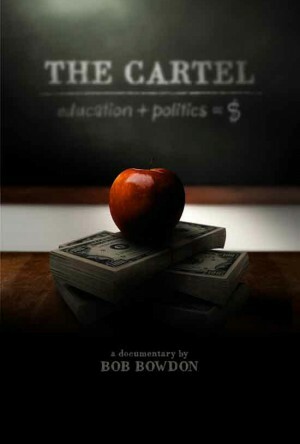 The movie goes on to describe the problems in the American public school system. Dr. Robert Balfanz of John Hopkins University explains that, in over 2,000 schools in America, less than 60% of the students graduate. 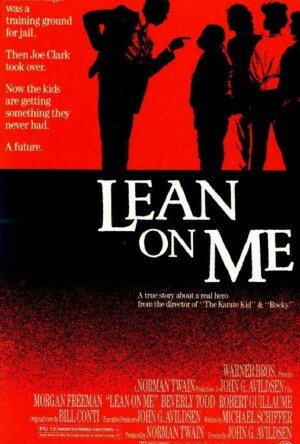 The movie terms these failing local schools “drop-out factories” and many audience members will likely be surprised to discover that more than one in ten high schools in America fit this description. Moviegoers witness these students’ struggle to get the education they desire while enrolled in these challenging learning environments. Guggenheim shows the obstacles that are getting in the way of reform by following five children whose families are desperate to get them out of failing public schools. The audience will find it easy to make an emotional connection with these families who merely want what is best for their children. The most emotional scenes in the documentary occur when the educations of these promising young children are determined through sheer luck from manually-operated bingo cages. The film highlights just how difficult it is for reformers to push back against powerful teachers unions. Jason Kamras, a former “Teacher of the Year” award winner, explains how hard it is to fire teachers who have bad evaluations. Guggenheim shows footage of the “Teacher Reassignment Center,” where teachers in New York City go to await their disciplinary hearings while continuing to earn their full salaries. Guggenheim contrasts these images with footage of what real reform looks like. He shows Canada’s successful charter school in Harlem, and how excited the parents of these students are to learn that every pupil is assigned a tutor. Since the families in the documentary do not have enough money to afford to send their children to private school, their only alternative is to attempt to send their kids to charter schools where admission is determined by a lottery. The most emotional scenes in the documentary occur when the education of these promising young children is determined through sheer luck from manually-operated bingo cages. This lottery amounts to a chance-wheel with significant real-life consequences, and sadly, only a few will get to attend their desired school. The documentary has served as the springboard for national conversations on how to reform America’s public school system, and ensure that all of America’s children receive an excellent education. Waiting for Superman does an excellent job illustrating a serious problem in America’s education system—in many public schools, (particularly those in inner-cities) students are more likely to drop out than earn a college degree. The movie has encouraged meaningful conversation on innovative reforms policymakers can adopt to significantly decrease the number of “dropout factories” in America. Among the film’s reform recommendations: giving charter schools and magnet schools an even playing field when competing against failing public schools, and reducing the power of teachers unions. While these solutions have been controversial to some who argue that charter schools are not inherently better than public schools, these critics miss the point. 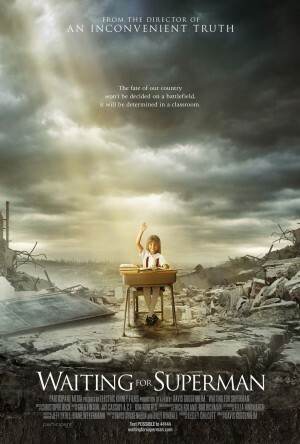 Waiting for Superman is not about proving that charter schools are always better than public schools, the film is about arguing that parents should have more choices when it comes to the education of their children, even if they happen to be poor. The logical and emotional arguments in Waiting for Superman leave audience members craving real education reforms, not simply the status quo. For this reason, Waiting for Superman is an extremely powerful and provocative documentary that has proven to be a significant driving force in the conversation to reform American education.